Inventory includes sets of single headed and double headed, tunable, authenic Chinese Tom Tom (Paigu). 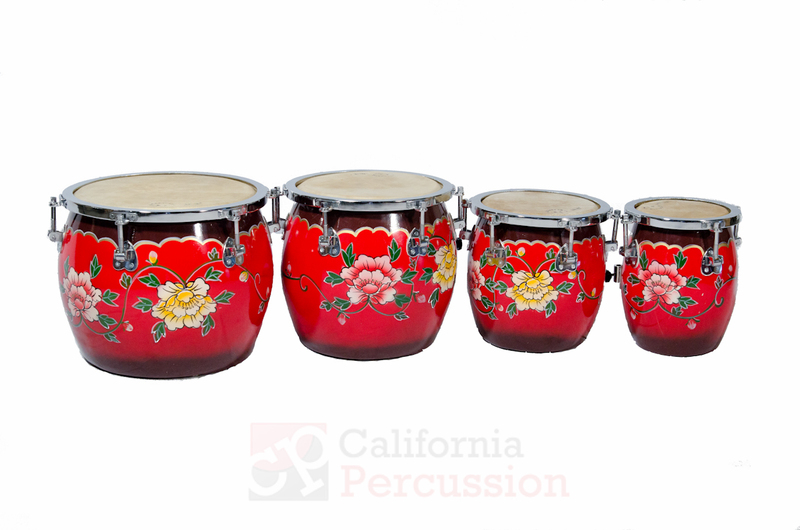 They are beautiful hand-painted drums that sounds as good as they look. Thick calf heads allows you to really lay into these drums and they have great projection. These come with traditional stands and can also be mounted on a basket style snare drum stand.